If you are looking for an AMAZING recipe then you MUST try these Bacon Wrapped Stuffed Jalapenos! These stuffed jalapeno peppers are stuffed with sausage and cream cheese, then wrapped in bacon! These Bacon Wrapped Stuffed Jalapenos are perfect for a party or even just a tasty snack! This jalapeno poppers recipe is super easy to make! Starting with breakfast sausage cooked on the stove, then mixed with cream cheese. 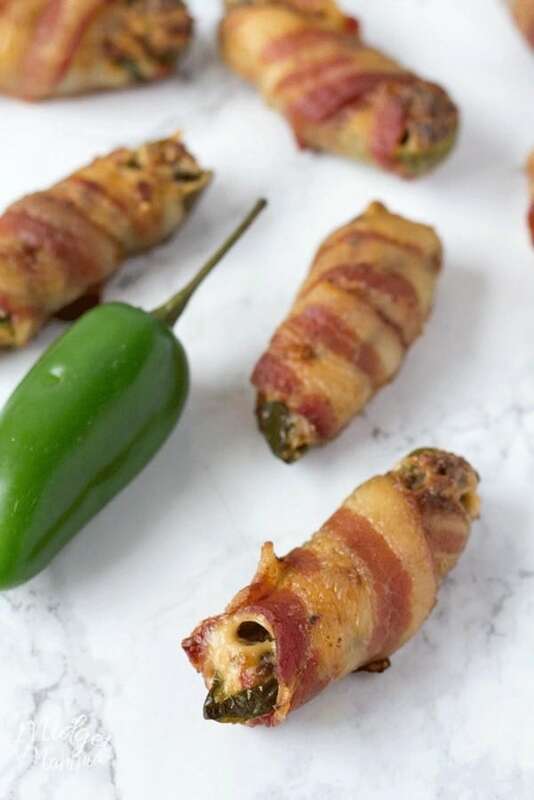 The sausage and cream cheese filling is then spooned into the Jalapenos, finally you wrap the Jalapenos poppers in bacon. Then you just bake them in the oven. Totally easy peasy! You can use any brand of breakfast sausage when making these baked jalapeno poppers, just make sure it is not the links or patties, you want the roll of breakfast sausage. I personally like to use Jimmy Dean breakfast sausage, but just use your favorite brand. If you are wanting to have extra spice when making these use a spicy breakfast sausage. When it comes to the cream cheese, you can use low-fat or regular cream cheese to make this jalapeno poppers recipe, however I do not suggest using the whipped cream cheese. I find that the block cream cheese works much better when you are making this easy jalapeno poppers recipe! For the bacon you can use any bacon, I suggest using a thinner cut bacon, over thick cut though, because you want the bacon to get crispy when you bake the bacon wrapped jalapeno poppers in the oven. 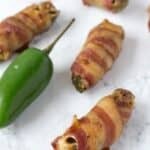 When you are making these baked jalapeno poppers you want to use jalapeno peppers that are on the larger side. You want to have enough room for plenty of the sausage and cream cheese filling. If you are wanting to turn the heat up on these baked jalapeno poppers, you can leave some seeds in the peppers. The seeds is where you get the heat from when you are cooking with jalapeno peppers. 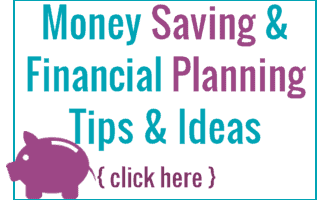 If you are working on planning a party then you can make your life easier. 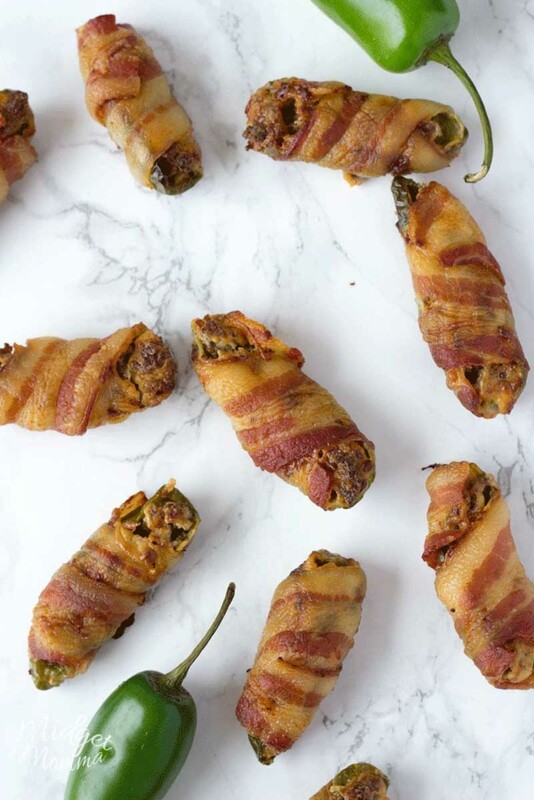 You can stuff and wrap these bacon jalapeno poppers 6-8 hours ahead of time and leave them in the fridge. Then just pop them in the oven before you are ready to serve them. You can easily double or triple this recipe, which if you are having a party or bringing these stuffed jalapeno poppers, you might want to because these are going to disappear fast once people take a bit of them! 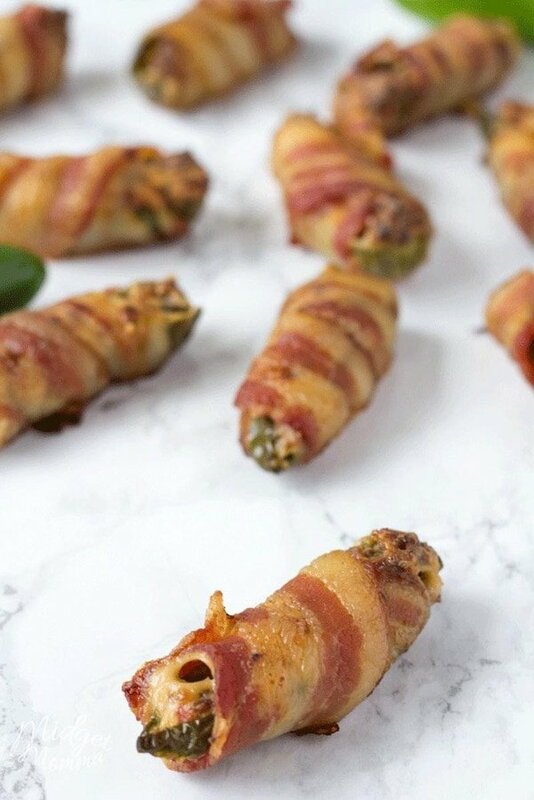 Bacon Wrapped Stuffed Jalapenos Poppers are the perfect appetizer or snack recipe. These baked jalapeno poppers are going to be the hit of any party. Cook breakfast sausage on stove on medium heat. Cook until all the sausage is brown. Do not drain the sausage. While sausage is cooking, cut jalapenos down the center (lengthwise) and remove the seeds (you can leave some in if you are wanting them hotter). Once sliced and deseeded place jalapenos in a bowl of ice water for 5 minutes. Once sausage is fully cooked, place entire package of cream cheese in pan with sausage and stir to mix well. Now cut your bacon slices in half. Drain your jalapenos from the bowl of water. Get a baking sheet and spray with non stick spray. Spoon tablespoon of sausage mix into jalapeno pepper and then place on a baking sheet. Continue until all jalapeno peppers are filled. Carefully wrap each jalapeno popper with a piece of bacon, and stick toothpick through top to hold bacon in place. 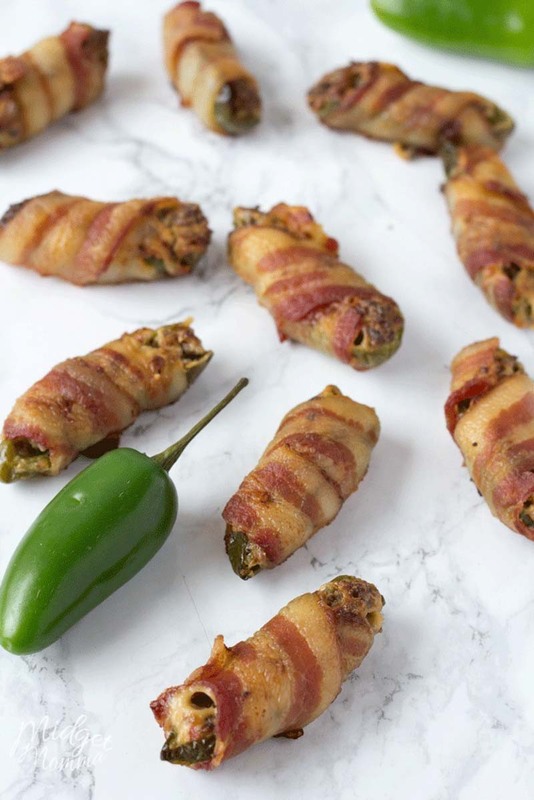 Place jalapeno poppers wrapped in bacon on cookie sheet as you are done wrapping each one. Bake in oven at 350 degrees for 30-45 minutes. 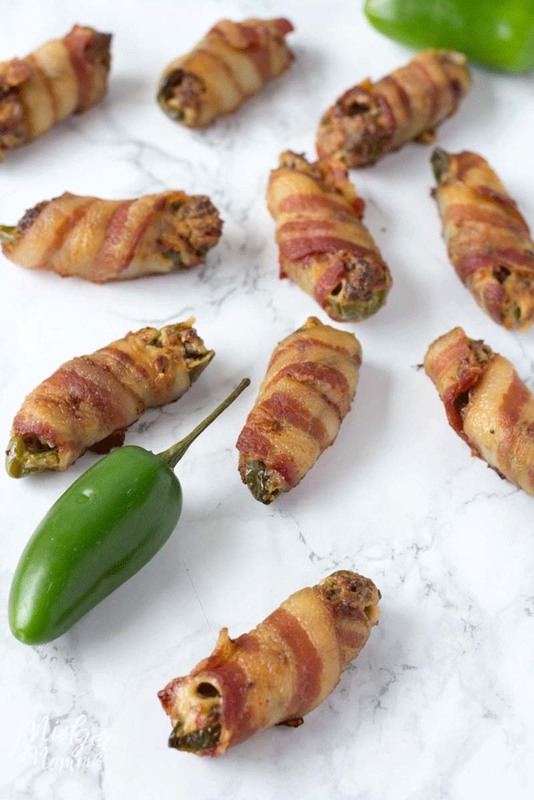 You want the bacon to be crispy when you remove the jalapeno poppers wrapped in bacon out of the oven. More tasty appetizers to make!